Amir Khadem is an Assist. 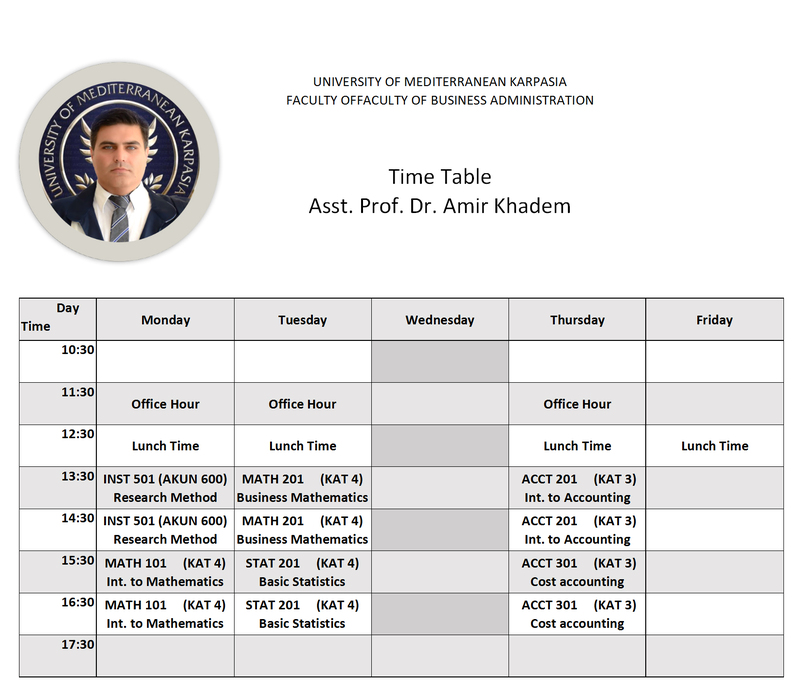 Prof. Dr. of Business Management at University of Mediterranean Karpasia. He is the Head of Tourism Department at University of Mediterranean Karpasia, North Cyprus since Sep. 2016. He received his Ph.D. degree (June 2016) in business management in the Girne American University received his MBA degree (2010) in master of business administration in business and economics Faculty at Eastern Mediterranean University.